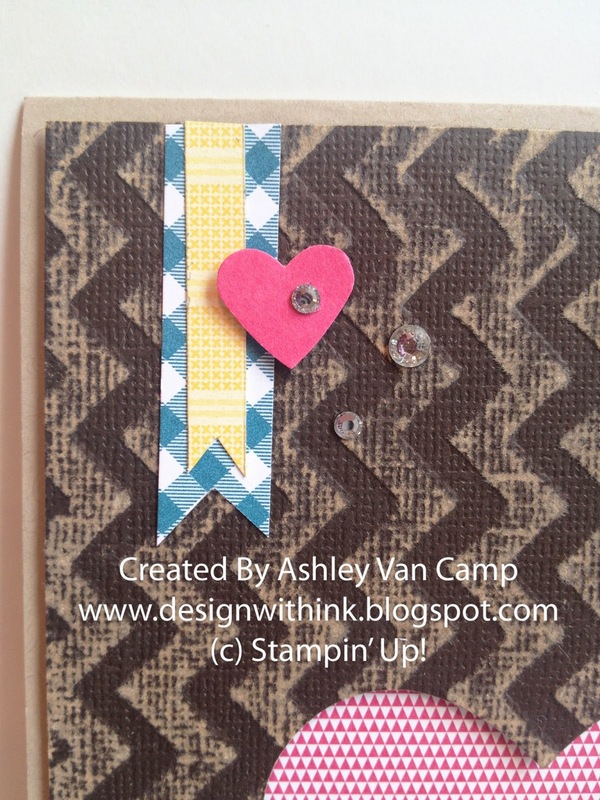 I will say...I do LOVE the stamp set I used. It's called "Work Of Art" and it will be in the next catalog that starts JUNE 2nd!! (Contact me if you need one! I will get it to you!) I canNOT wait! This catalog is simply amazing! I do love making these flowers. 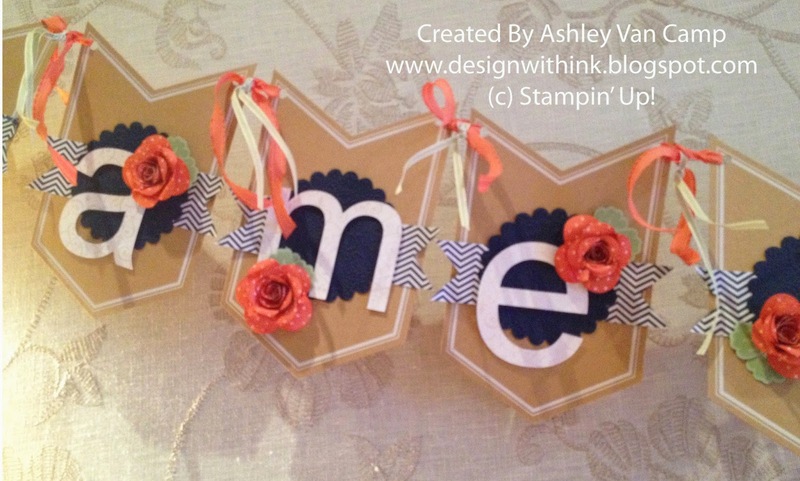 They are so easy yet are such a WOW on any project! But for a card...this definitely is a hand delivered only card! :-) I wouldn't try to mail this unless it was in with a package or something. 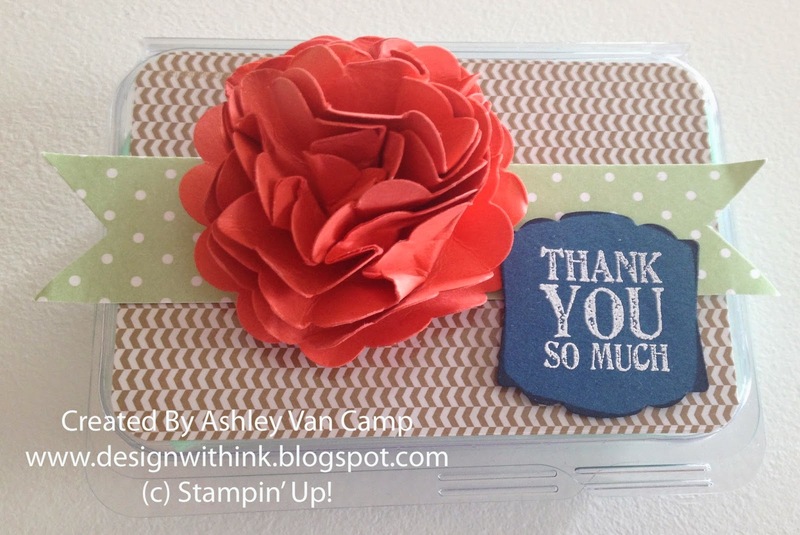 Just want to say "Thanks So Much" for visiting my blog! 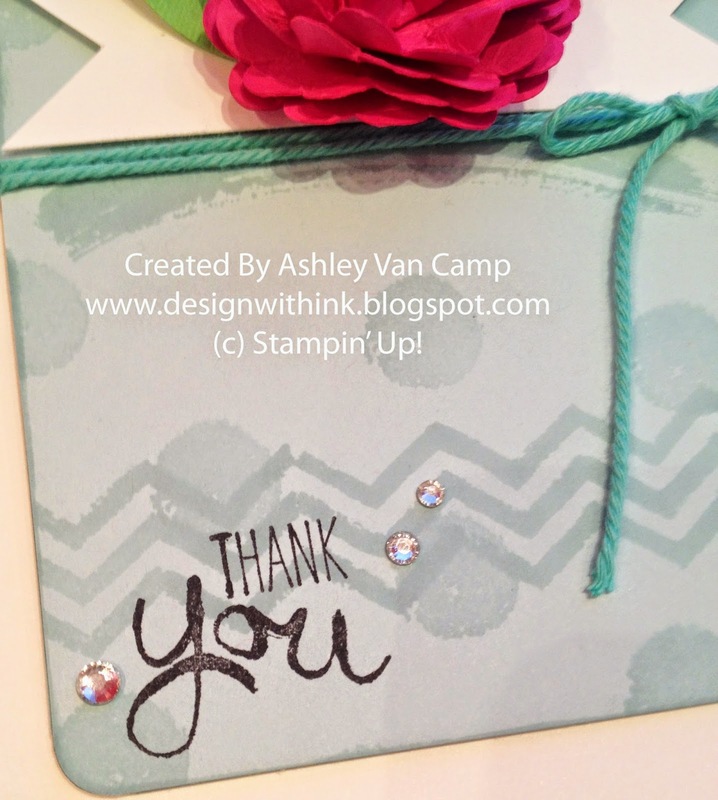 So here is a card idea to say "Thanks!" 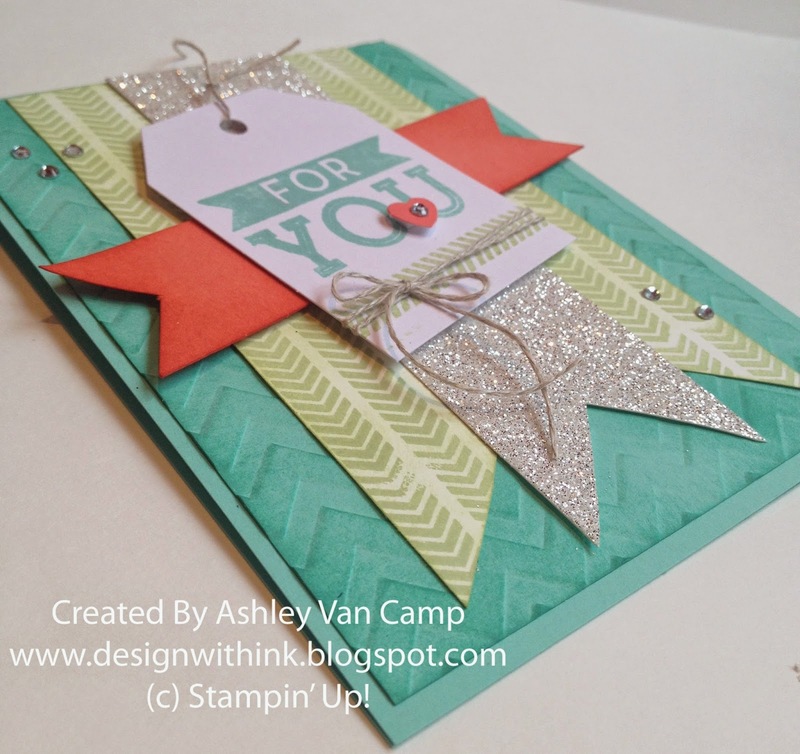 Hope you enjoy this card! Thanks so much for visiting! 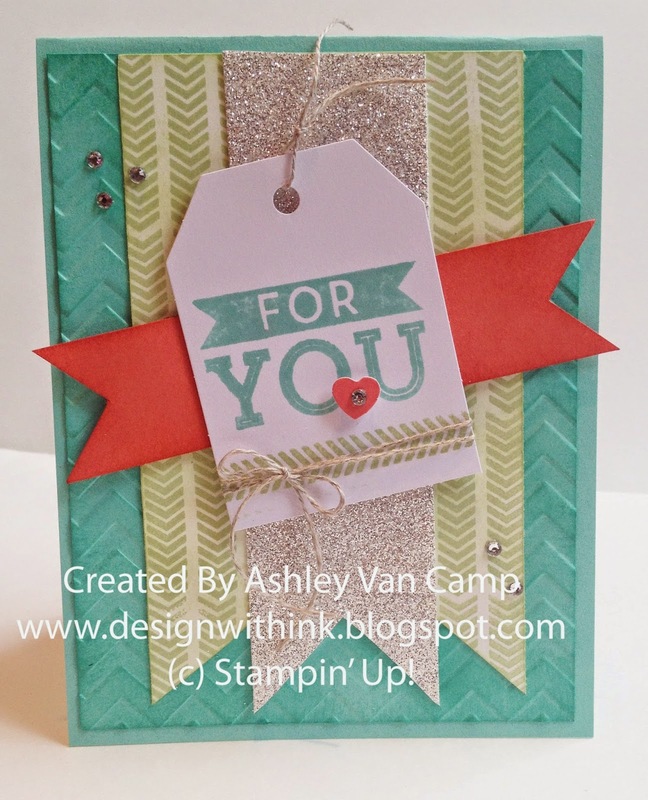 This really is a very simple card to make. Hope you enjoy it! Thanks for visiting!!! 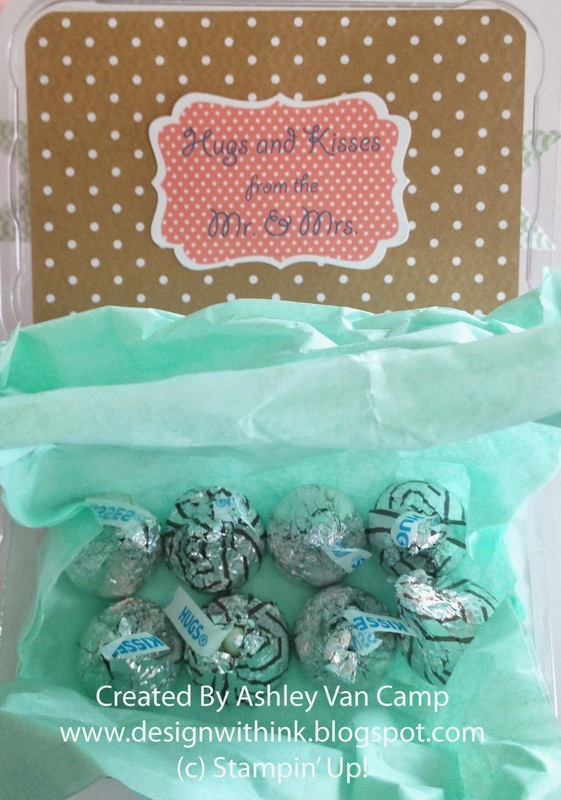 Hugs and Kisses...In Chocolate Form! 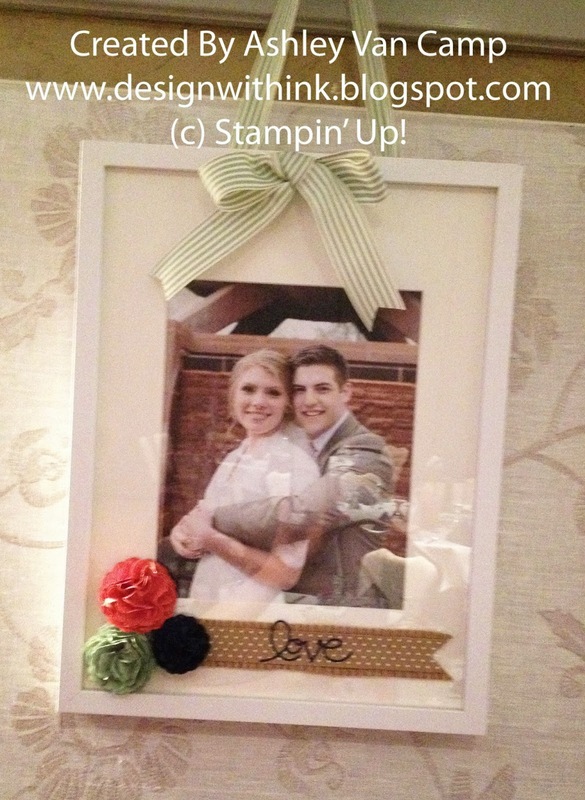 I have shared before some things that I did for my brother's wedding festivities. 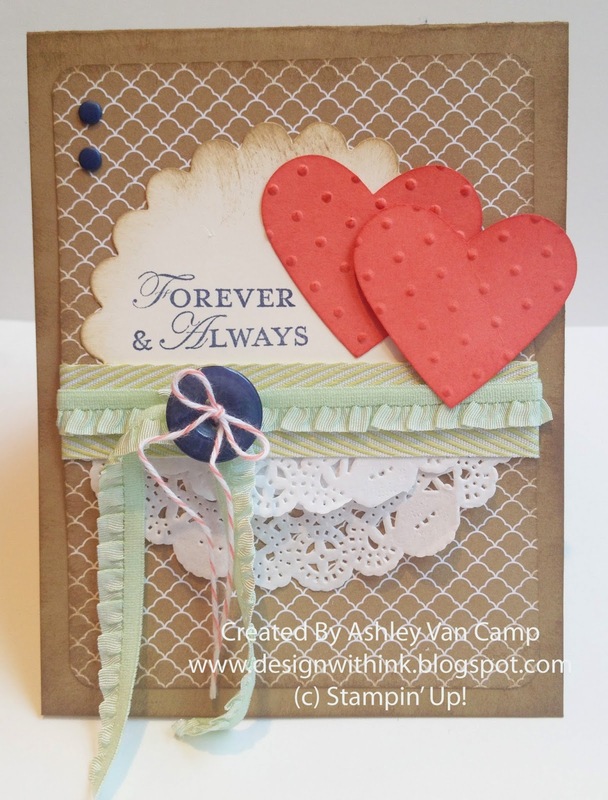 Well...her is the card I made for the cute couple! 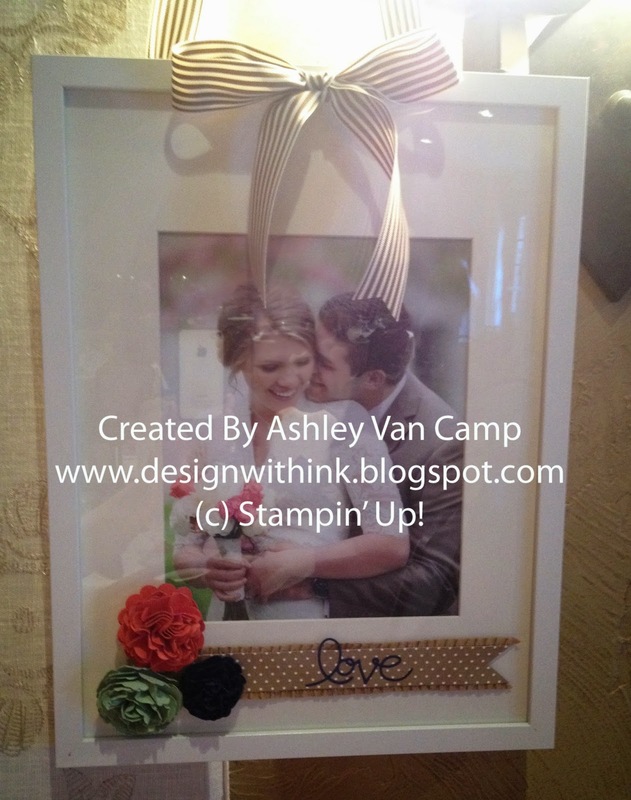 I am sure many of you have weddings coming up ('tis the season! ), so hopefully this will give you an idea you can use. 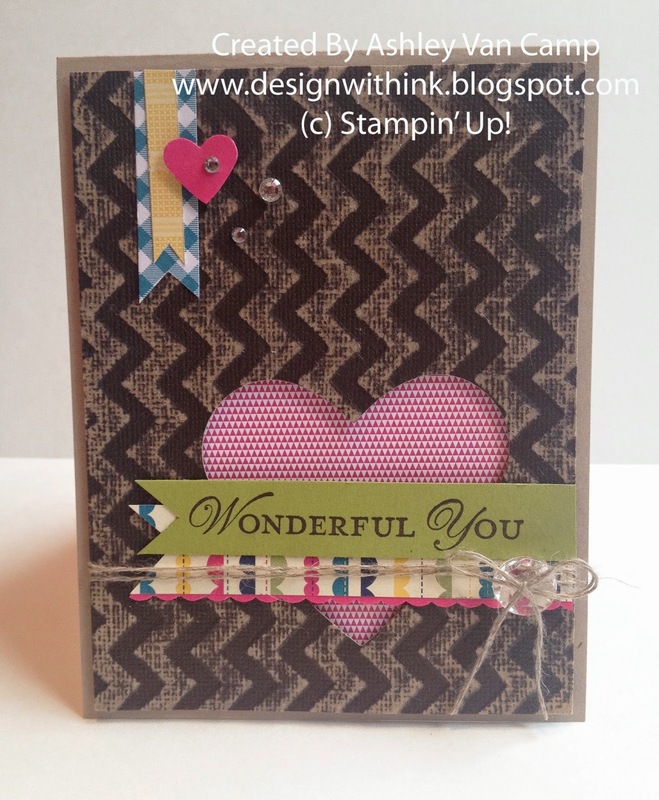 I LOVE the Core'dinations Cardstock! 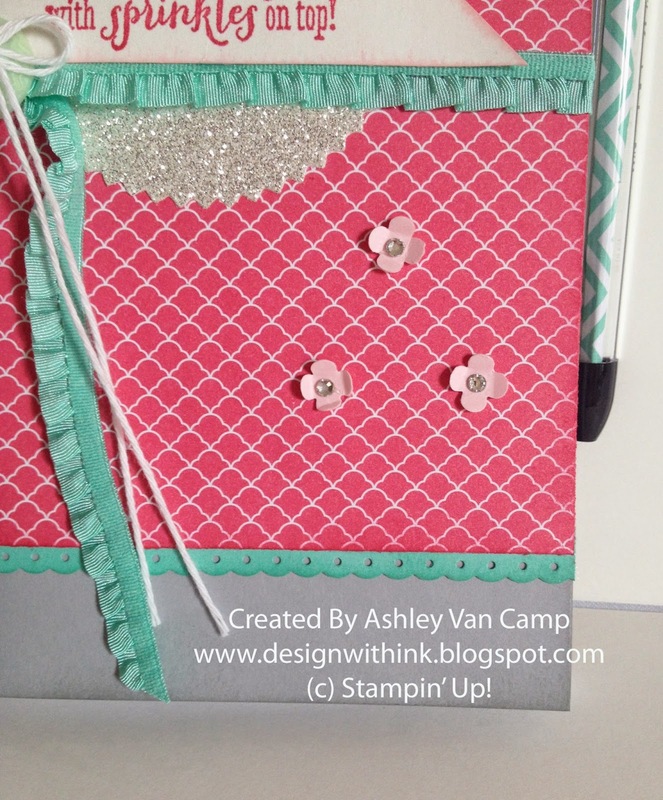 It's SO MUCH fun and really makes a card pop! 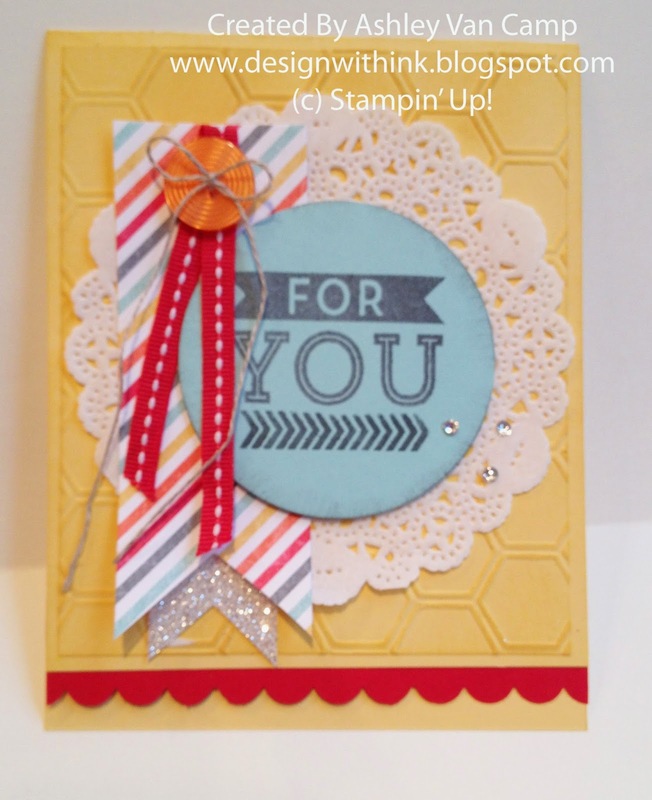 All this card stock is retiring this month...so get it while you can! Even if you don't sand it down, the texture on it is fantastic. So what do you think? 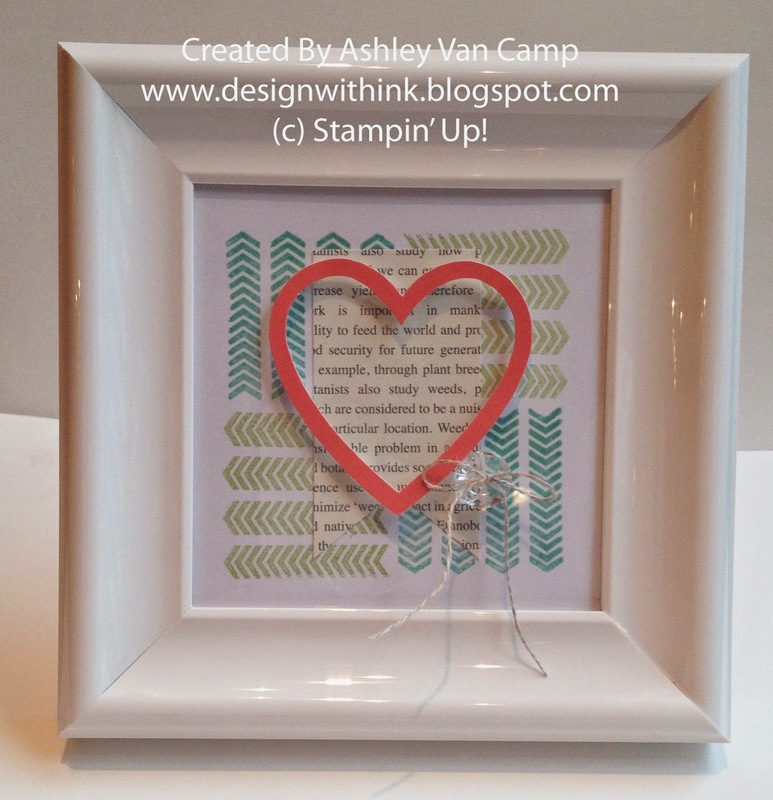 We used the Heart Framelits to cut the heart out of the Core'dinations Cardstock. 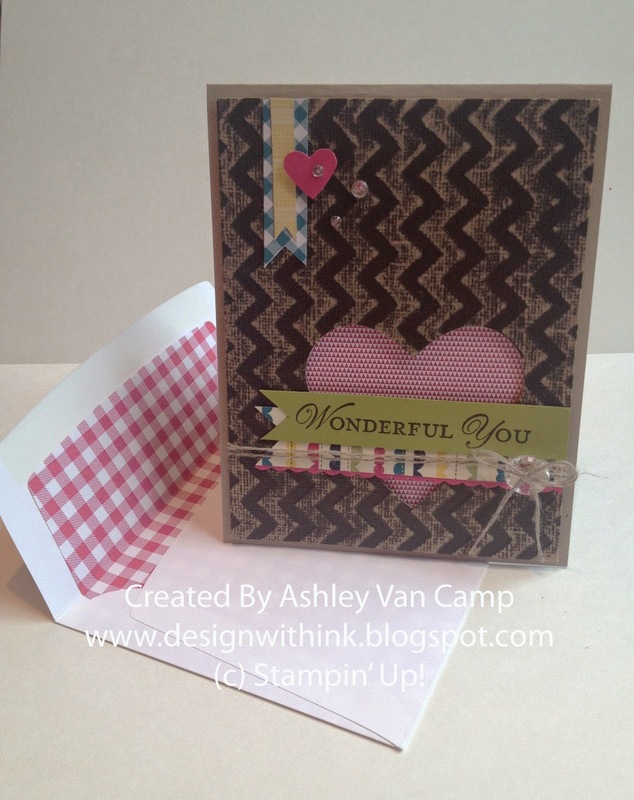 Then adhere the Designer Series Paper piece to the card base, and then put the card front on with dimensionals. 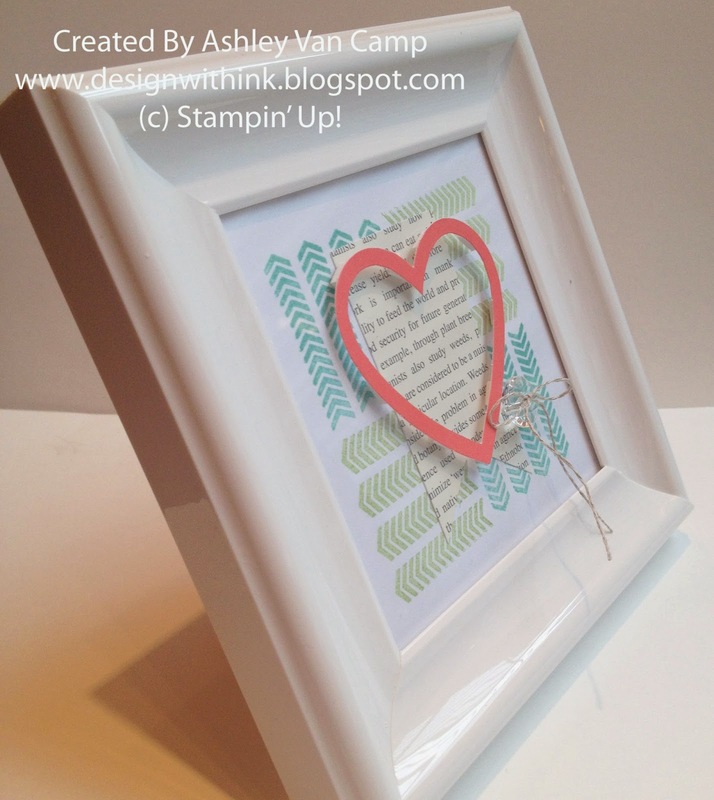 This is just a fun way to use the negative space of the punched out/Framelit out piece. 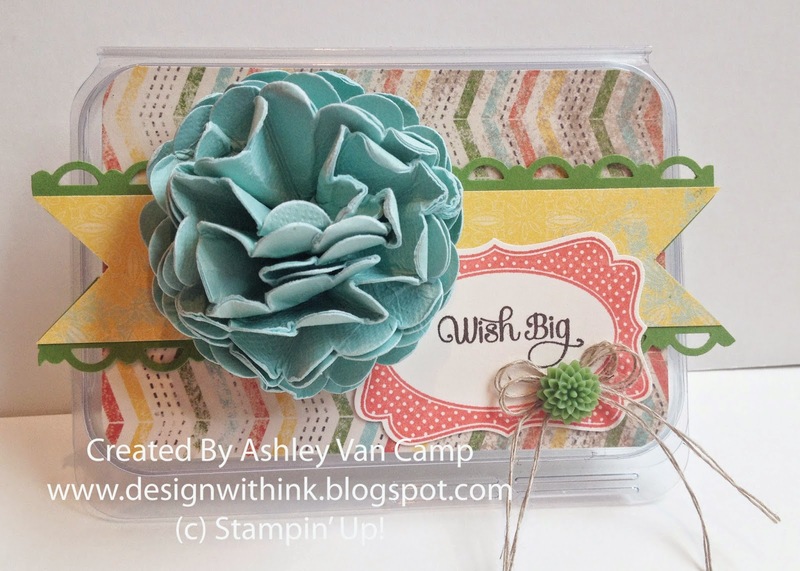 Had some fun using the This and That Epic Day Designer Series Paper. 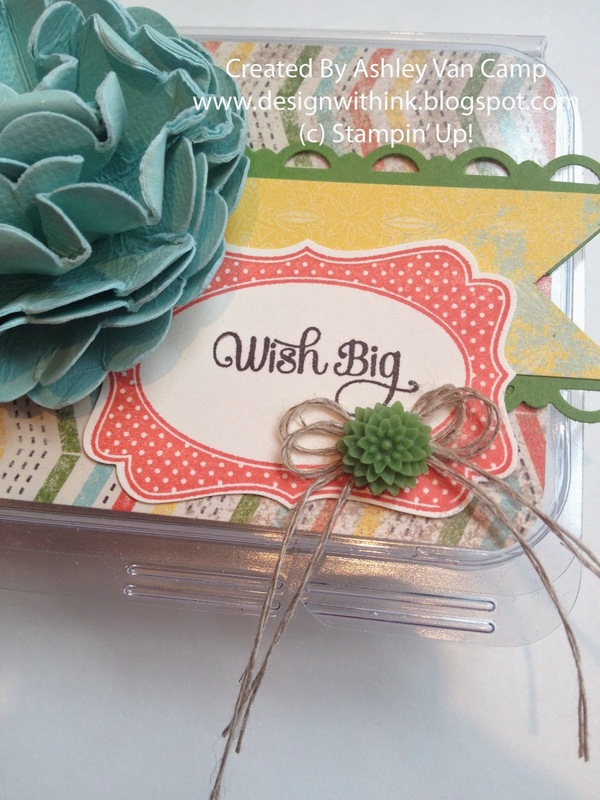 The colors we used are Pool Party, Daffodil Delight, Gumball Green, and Calypso Coral. 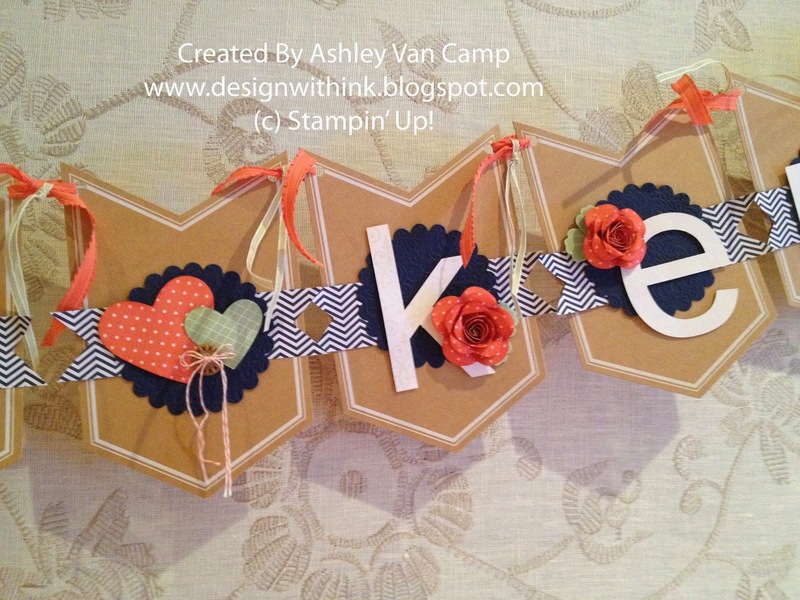 Surprisingly...they all work together to create a fresh and fun project! 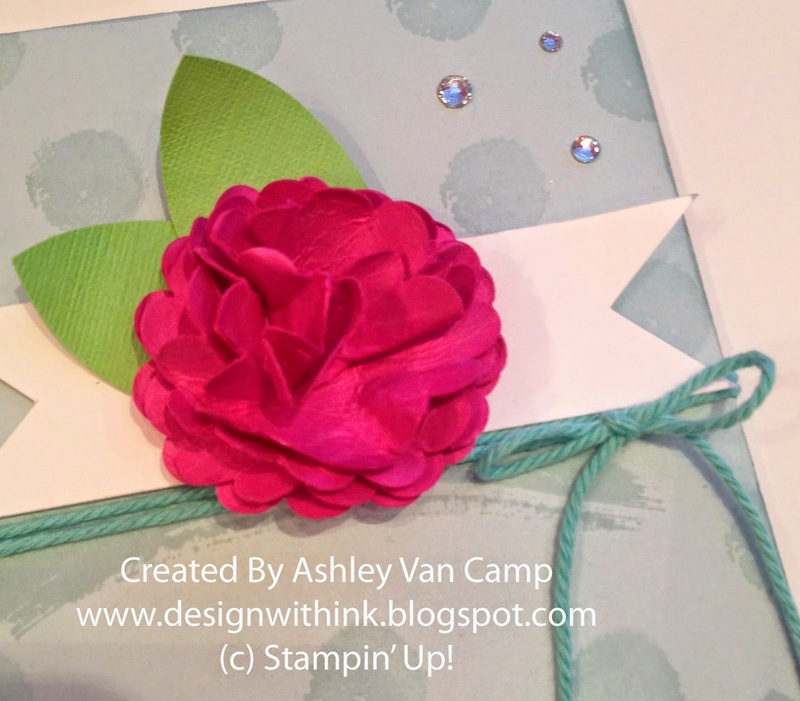 These flowers are SO much fun to make! You just punch out your scallops (I used the 2 3/8" scallop, 6 of them), secure them all together with a brad in the middle, and then start spritzing and crumpling up each layer. Then sit aside and let dry. If you are a club member of mine...you will get a PDF instruction sheet each month for both projects we made...with pictures! 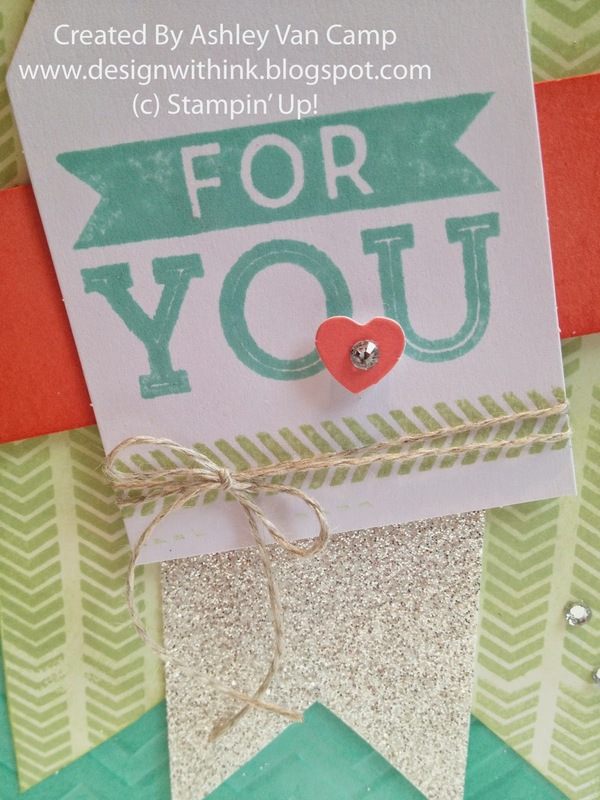 Club is a fun way to grow your stamping supplies on a budget. Let me know if you want more info! And a little tip...these clear boxes are the old stamp cases that Wood Mount stamps used to come in. Well....just so you know....they are on sale on the Clearance Rack! You get 10 of this size (it's the smallest...about 4 1/4" x 2 3/4") for just $0.79! That's a deal!!! 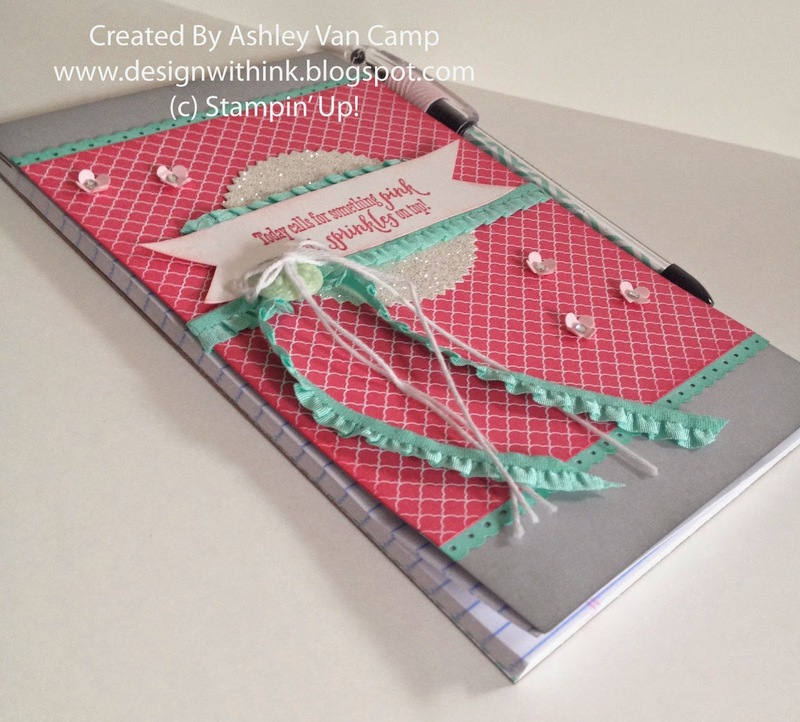 Visit my website to order... www.ashleyvancamp.stampinup.net. 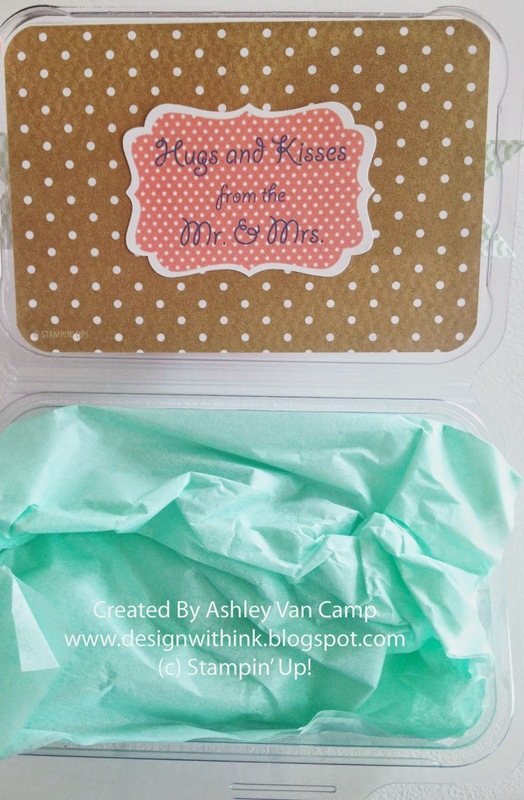 They are so much fun to put any kind of treat or small gift in! Thanks for visiting! Hope you enjoy! Let me know if you have any questions! 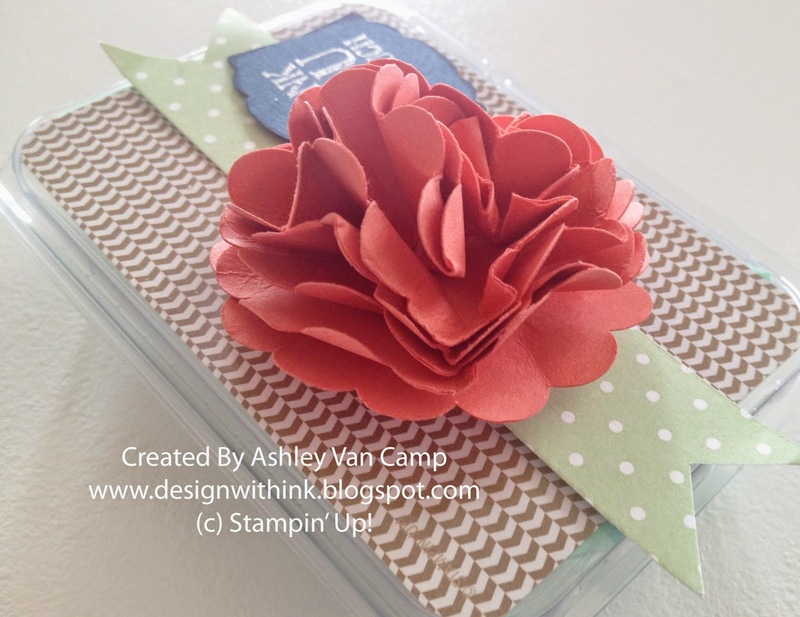 Ok...seriously...Paper Pumpkin is SO MUCH FUN!! 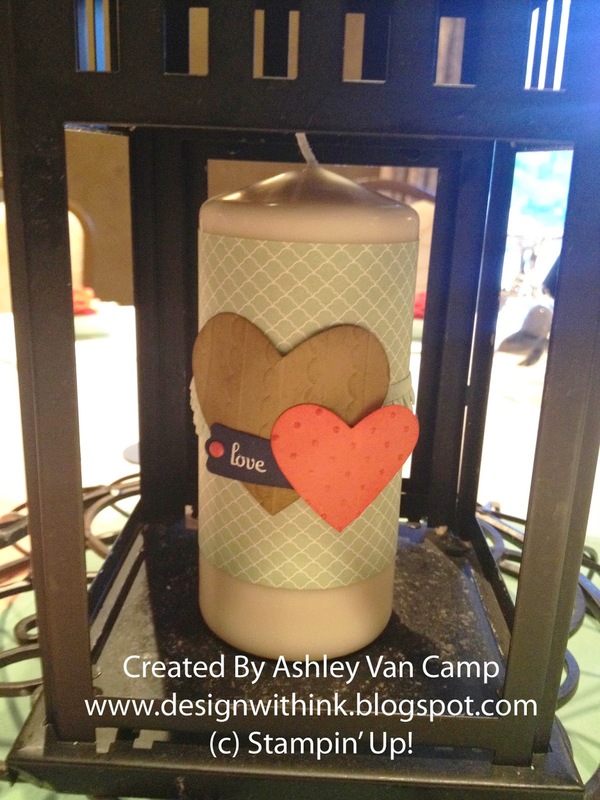 Who doesn't need/want a fun crafting kit to come to them each month?! 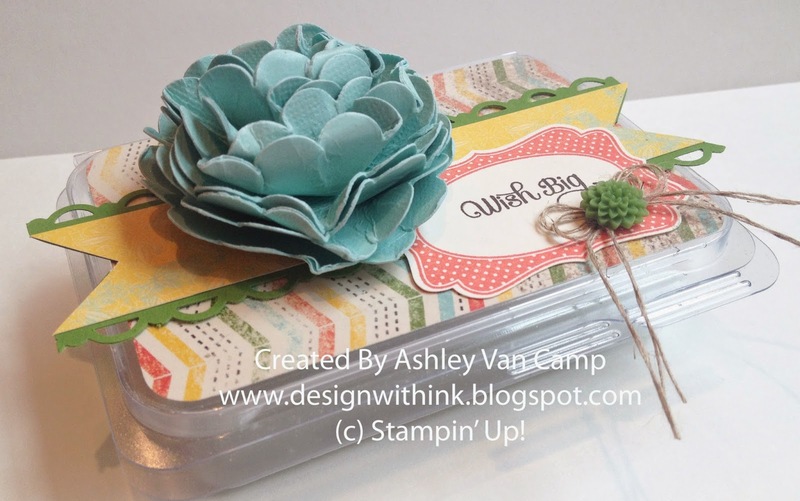 All the supplies are in the box (Stamps, Ink, Project Supplies, etc.) and all you do is give yourself a gift of 30 minutes. It's fantastic! And guess what?!?! So much fun...right?!?! It is only $20 a month...the shipping is included in that price! And I have to show you this month's kit. It is SOOOO CUTE!!! I kept with the same color combo of the actual project for this one. It is Coastal Cabana, Pear Pizzazz, and Calypso Coral. 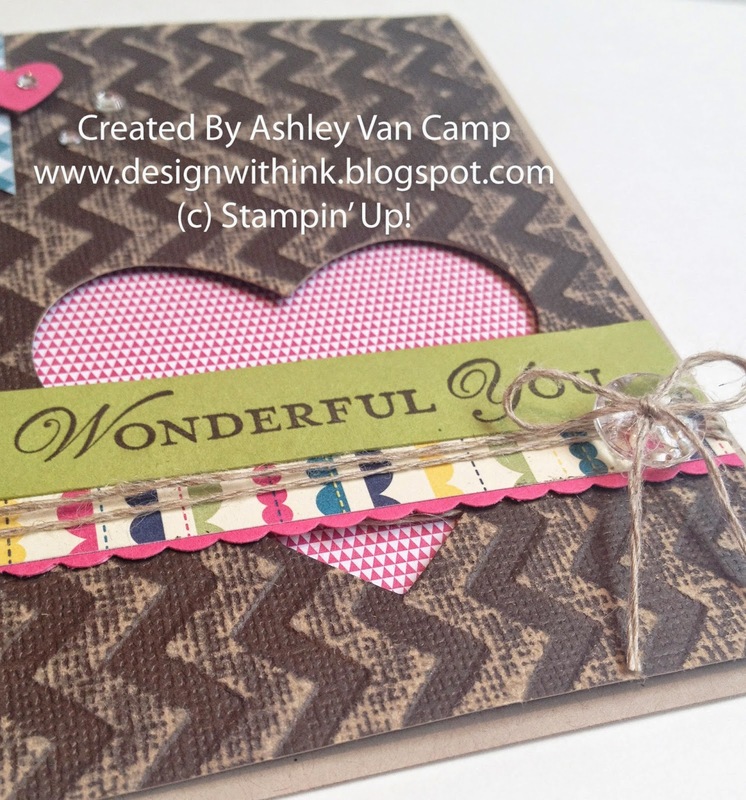 I used an extra tag, heart, and twine from this month's kit for this card. 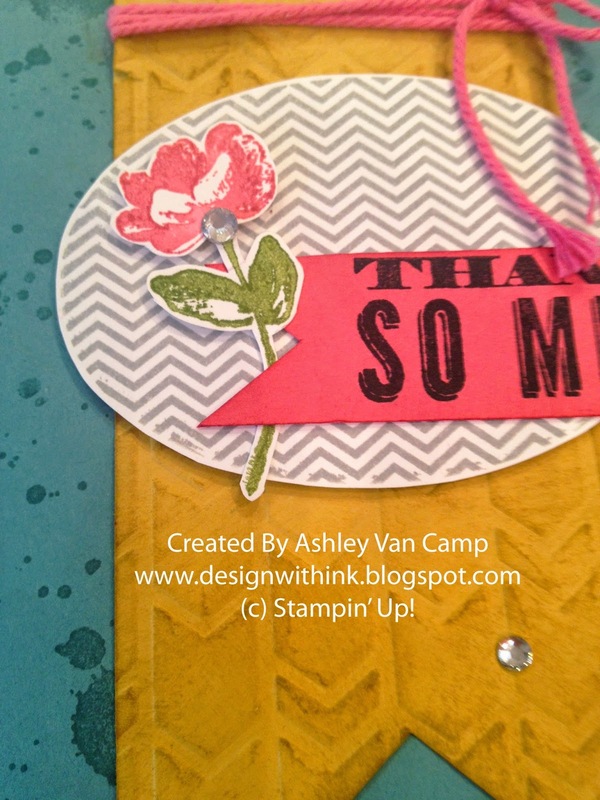 The stamps are SO MUCH FUN this month! Love them! 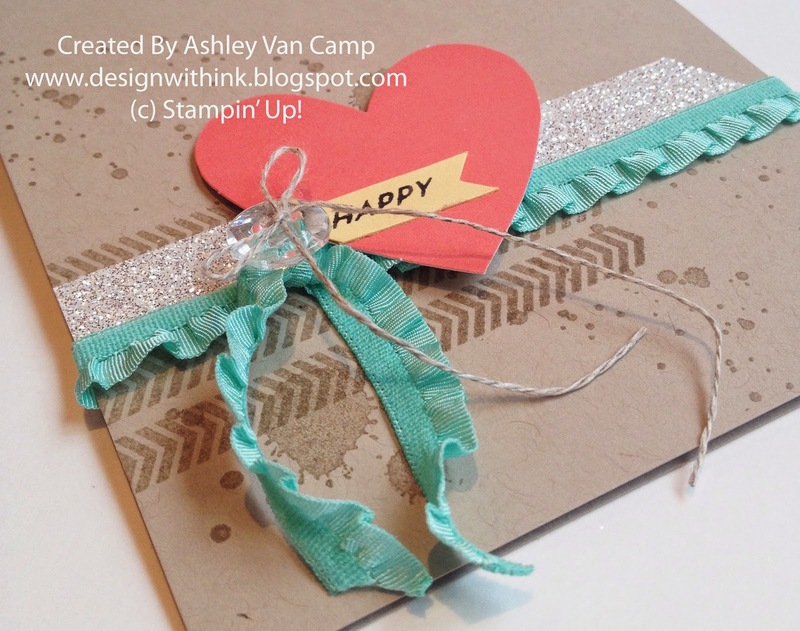 There is a "Happy Mother's Day" sentiment included, but for this card I just inked up the word "Happy" in it and stamped it on this card. 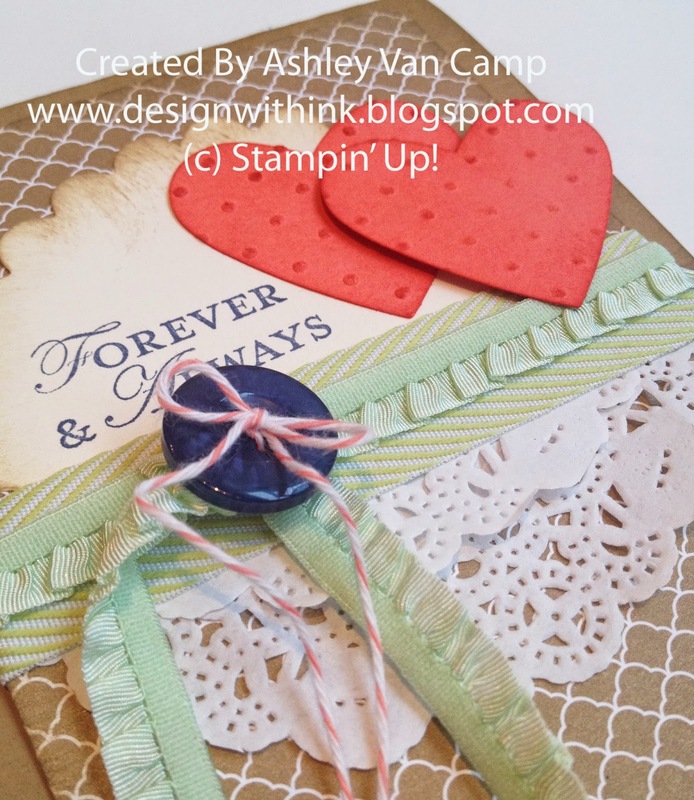 I also used an extra heart, button, and twine for this card. I need to try to track one of these photos down so I can get a better pic. I made those fun flowers in Calypso Coral, Night of Navy, and Pistachio Pudding. 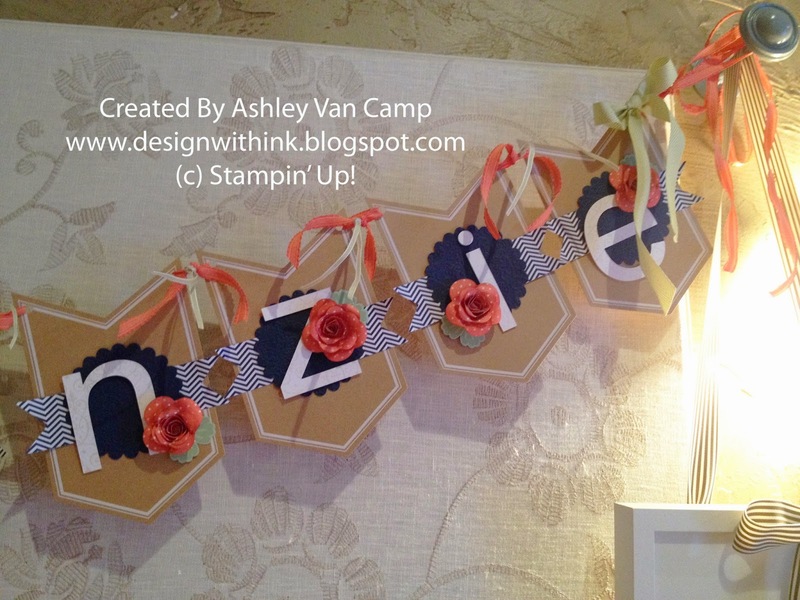 Then used the Baked Brown Sugar ribbon and Designer Series Paper for the banner. They really turned out cute, but you can't really tell that in this picture! It was a lot of fun to help in a small way make their day feel a little more special. They are one cute couple and I am excited for their new adventure together! Thanks for visiting! I hope you enjoyed these projects! 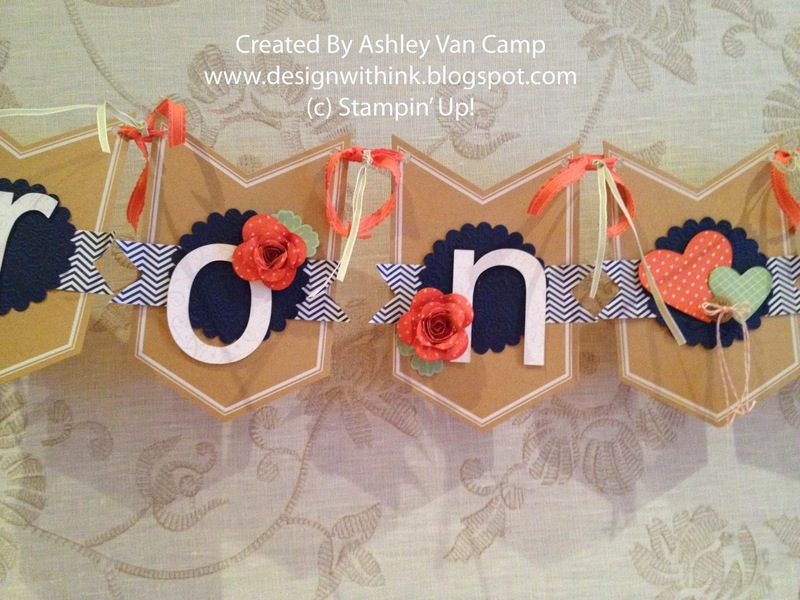 I have posted quite a few banners these days. 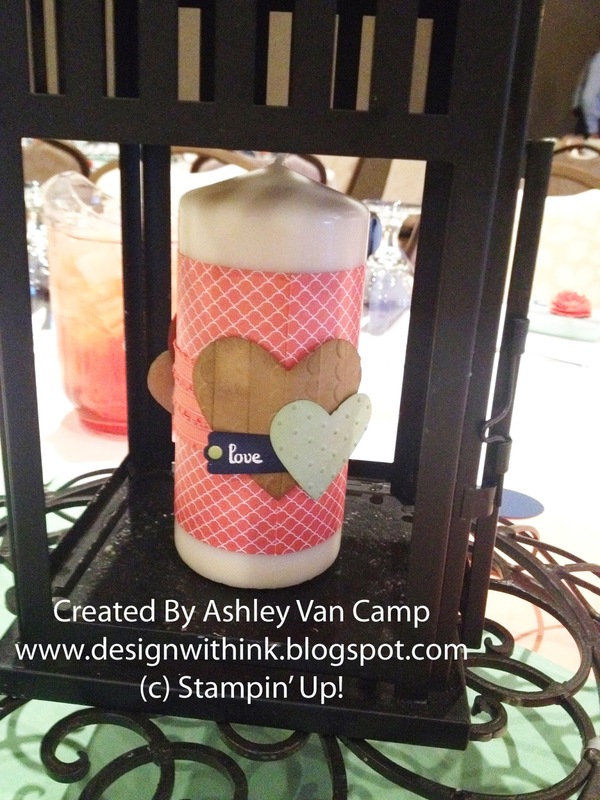 I just think they are such a fun way to add some fun festivity to any event. 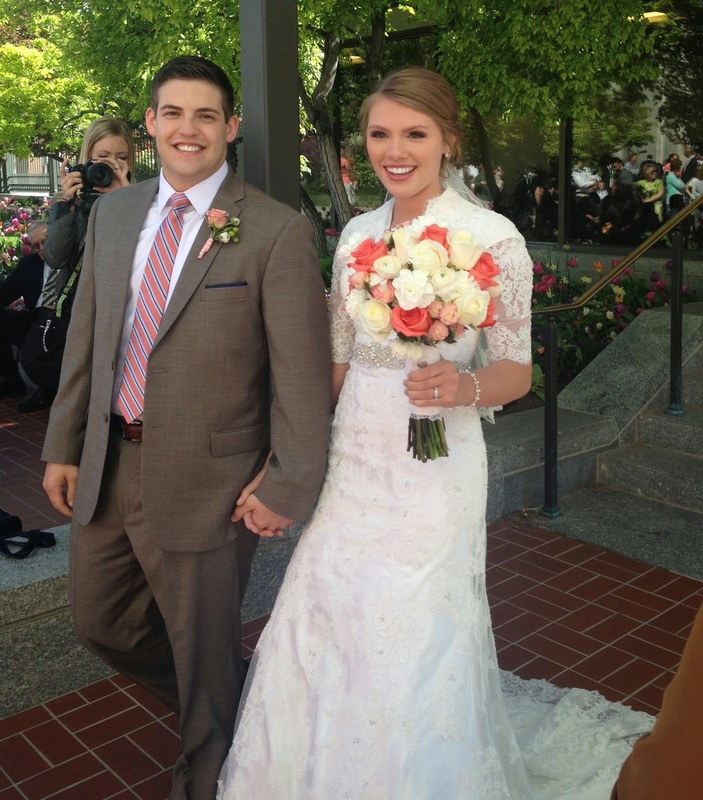 And it was a great way to bring in her wedding colors. (Here colors were Night of Navy, Calypso Coral, Pistachio Pudding, and Baked Brown Sugar.) The base of this banner is the Celebrations Basics Kit again. I LOVE THIS KIT! 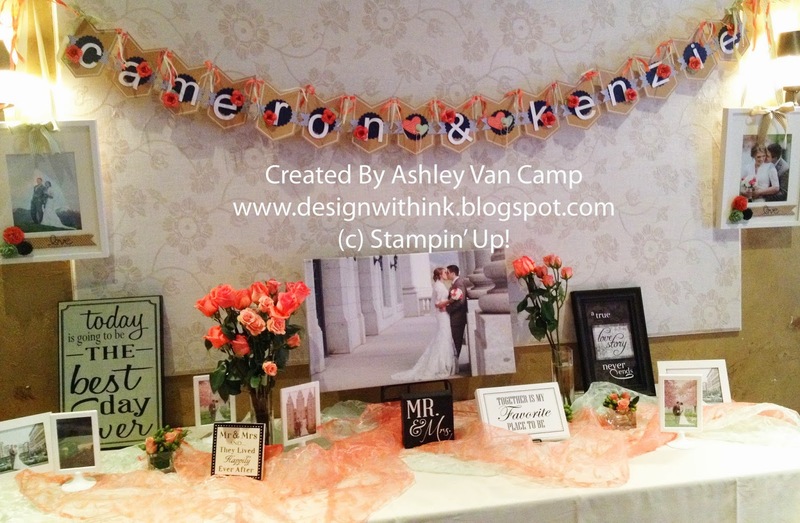 It makes it so easy to make a banner and just add any special touch you want! So hope you enjoy this banner! 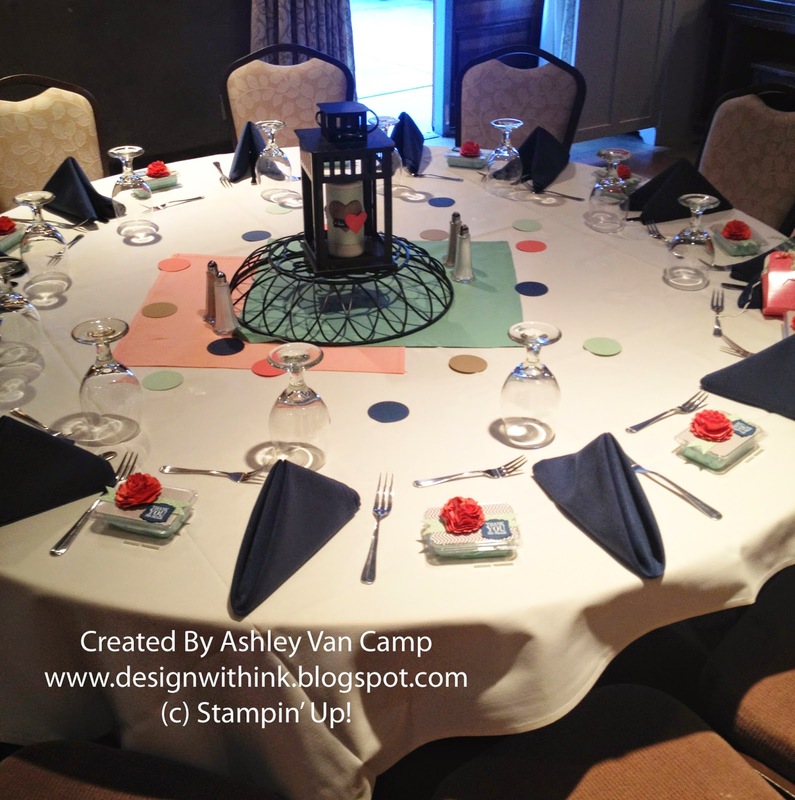 I will share a few more decor items that I made for this dinner soon! Thanks so much for visiting! 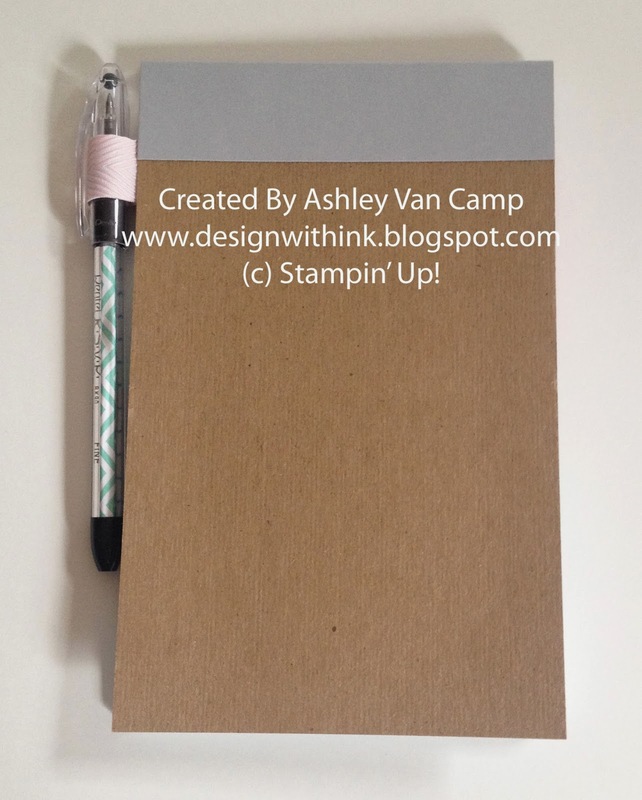 Who wants to write in some boring store-bought notebook?! I know I don't! :) So just wanted to share a quick idea for you. This was just a plain old boring Mini Legal Pad I got at the store. I just cute-ified (yes...that's officially a word now! At least in my world. :-) ) a cover for it and attached it to the front. 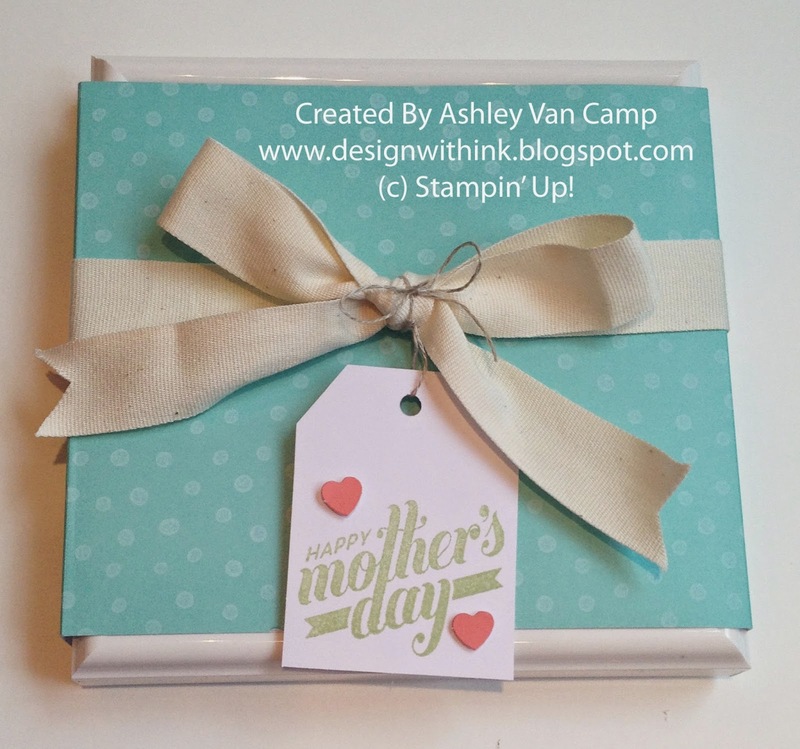 This is such a fun gift for Mother's Day or any time, or just for yourself! 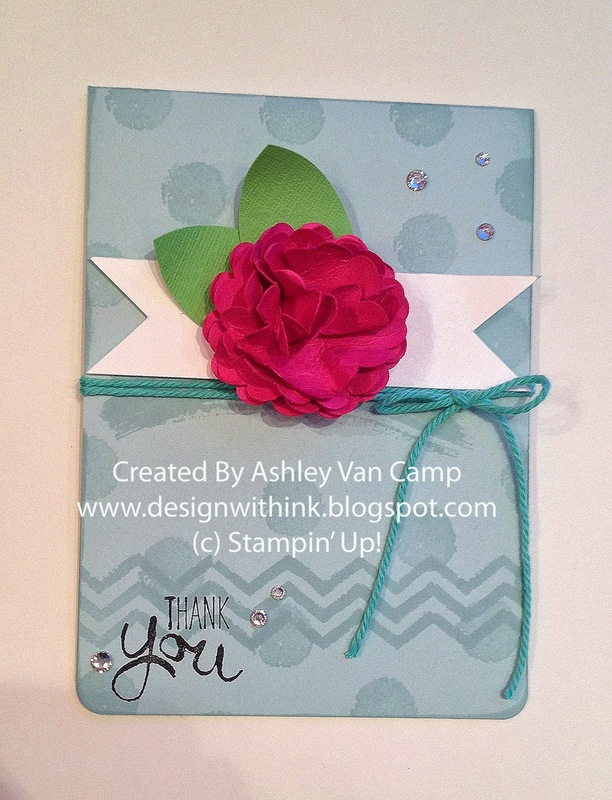 I LOVE this pink sentiment. 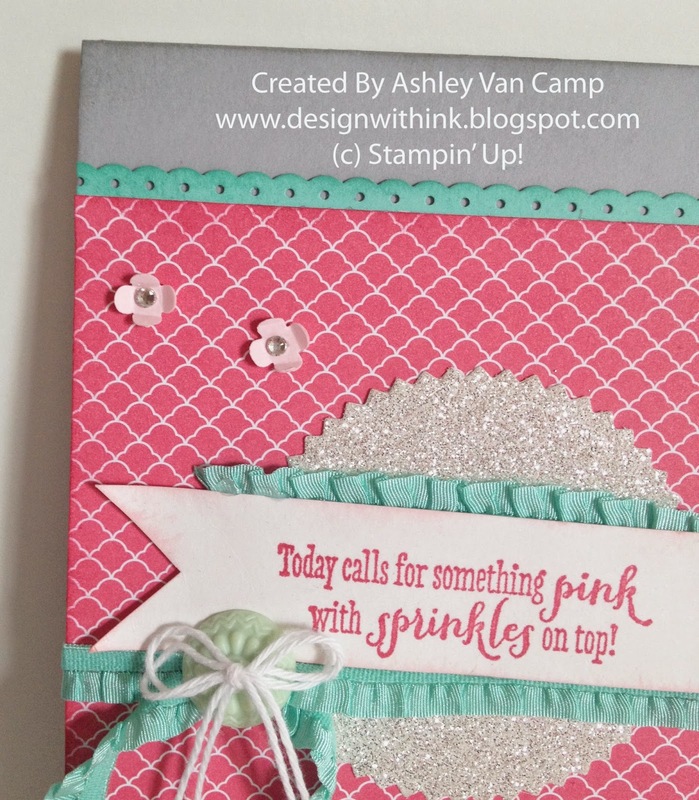 It says, "Today calls for something pink with sprinkles on top!" 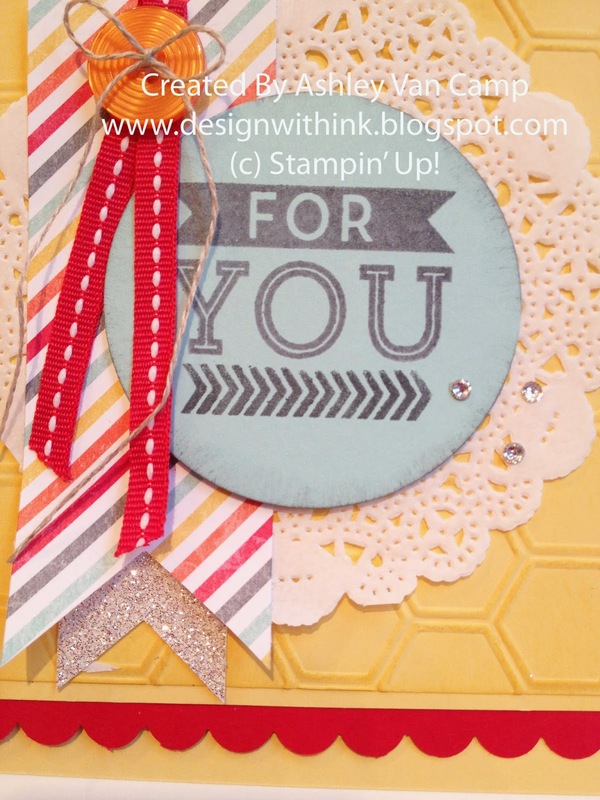 It's in a birthday greetings stamp set called "Remembering Your Birthday". But I think you can use this sentiment for ANY DAY! LOVE it! 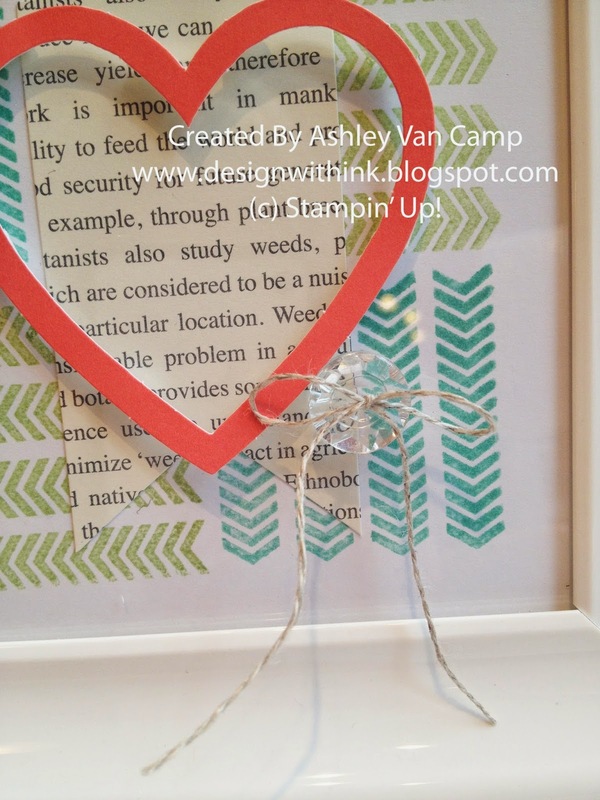 I forgot to get a pic of how I attached the pen...but I just hot glued a ribbon loop to the inside back cover. (Then I covered this with Coastal Cabana Designer Series Paper so that you couldn't see that part.) Then just slip my pen in! 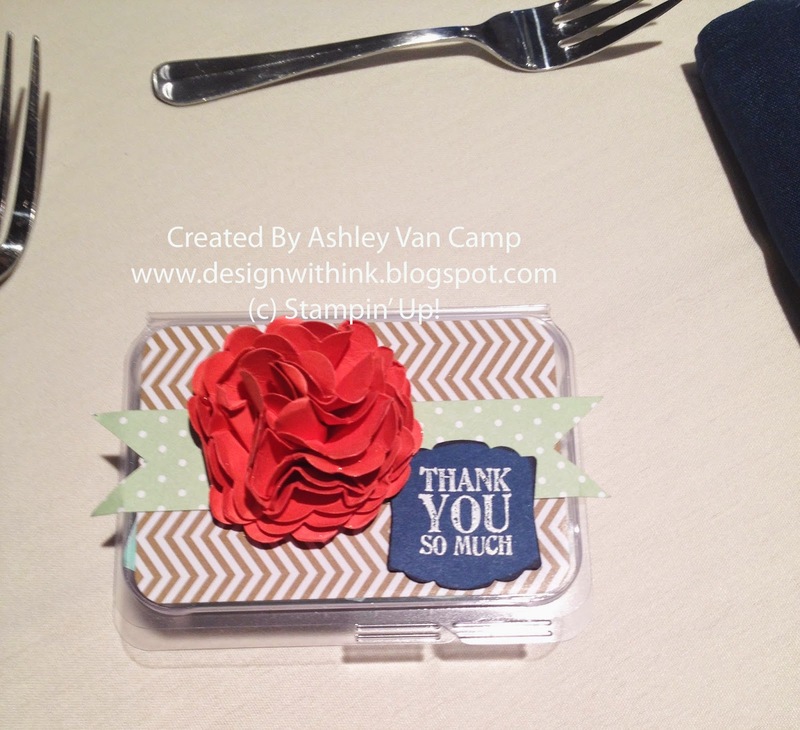 I love these RSVP pens because you can open the pen up...slip a small rolled in piece of Designer Series Paper inside...and VOILA! 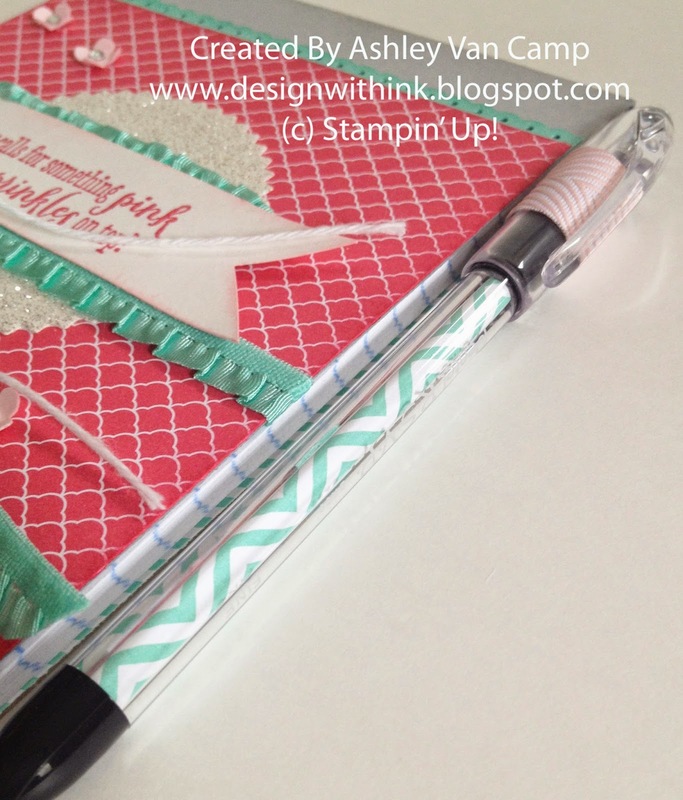 Coordinating pen for your notebook! Too much fun!! Hope you enjoyed this project! Thanks so much for visiting! Please let me know if you have any questions!! !